It's really hard to summarize my visit to Barcelona & Lisbon and even crazier to think I jetted off 2 months ago! It was such an amazing trip that I really haven't known where to even begin! The architecture, streets, people, food and of course the wine were all amazing. To say I fell in love would be an understatement. Both Lisbon and Barcelona were amazingly beautiful, yet both were so different from one another. Since my friends and I decided to travel with just a carry-on (more on that next week! ), I made sure to pack & travel in items I could re-wear on our 9 day trek. This was my "travel outfit" to Spain, to Portugal (& 6 hours in the airport), and then back to DC. The layers were perfect for the chillier nights and airports, and allowed me to peel items off while walking around. My jeans were comfortable, but really matched everything I owned. My booties were not the simplest of items to walk miles in but they were the bulkiest shoes I packed, so I wore them on the plane to save room in my bag. 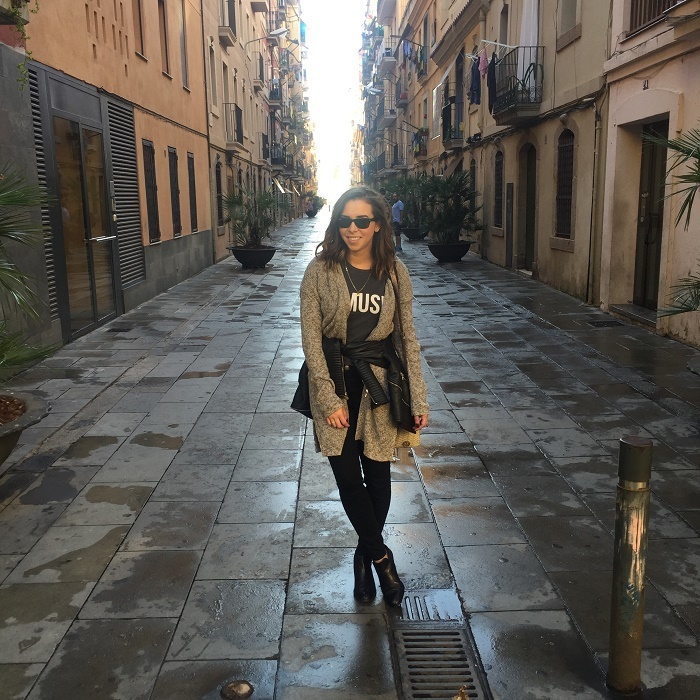 Travel outfit tip: comfort & efficiency! More to come about my trip! I love reliving trips later through photos. Great travel look for sure! This is such a great look for travel...but I'm mostly intrigued to find out how on earth you managed with just a carry on! My liquids alone would make that pretty difficult to do, so I'll be reading that post when it goes up.